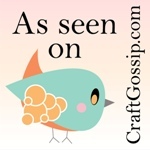 Elizabeth’s tiny cross seems to be making the rounds of the tatting blogosphere. 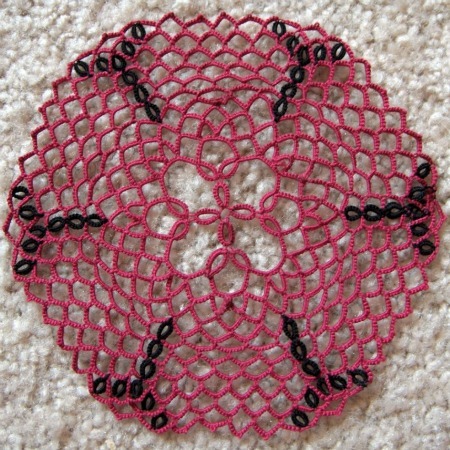 It is an adorable and quick design, and she has generously posted the pattern on Elizabeth’s Lace to share. 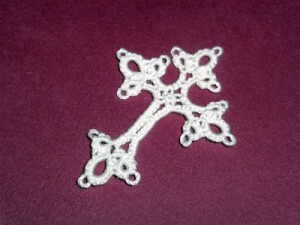 The cross is exactly 2″ long, even tatted in chunky size 10 Aunt Lydia’s white crochet cotton. 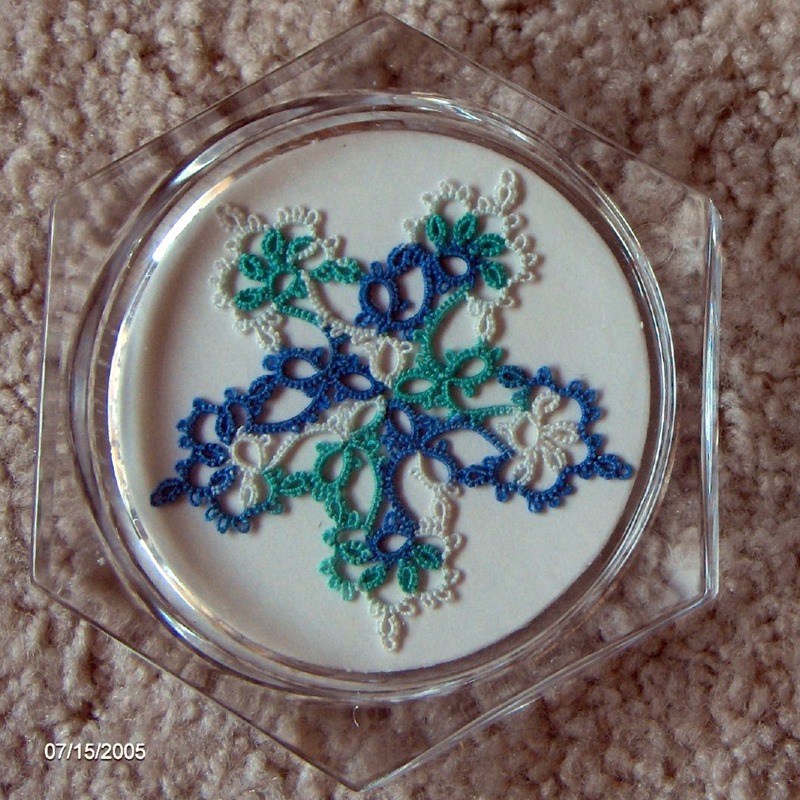 Yes, it is Aunt Lydia, a rather poor thread for tatting, but I bought it when I was a brand new tatter and didn’t know any better, and am trying to use it up when I can. This tiny cross is destined to adorn a birthday card for the grandmother of the family for whom I nanny. 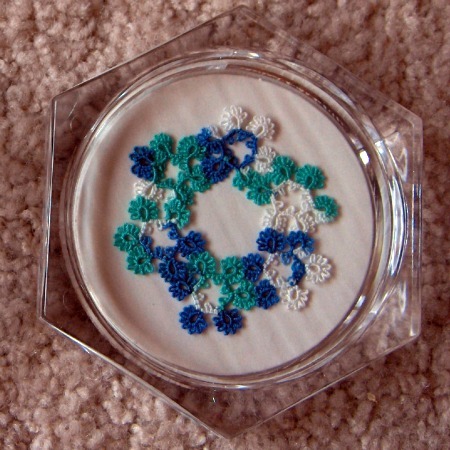 She is a very kind, proper lady and has admired my tatting several times. She will be very happy to take a small sample home. Wonderful. I actually like the look of the “bulkier” thread. It gives a nice texture to the stitches. oooh ! this is a craft I have long admired, began 40 years ago and look to revisit this winter. Thank you for the lovely informative postings you have shared..